There will be no weekend trains between Blackpool and Preston until 2 April while engineering work is carried out on the route, say Northern Rail. The engineering work will start this Saturday 21 January, meaning that weekend train users will be forced to use rail replacement bus services for the next 10 weeks. Trains will run on Saturday 18th and 19th of February. Details of replacement bus times can be found here. 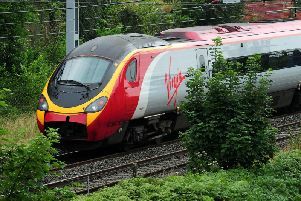 A spokesperson for Northern Rail said: "The work is being delivered as part of the £1bn+ investment to improve rail travel in the north of England: better connecting people to jobs, services, friends, family, education and leisure opportunities. "Electrification will help to provide a reliable and sustainable railway for generations to come – tackling overcrowding and reducing the cost of operating the railway. From May 2018 greener, cleaner and quieter trains will run on the route between Preston and Blackpool North. "The work involves the completion of upgrades to bridges and structures along the route, strengthening of railway embankments, assessment of pedestrian and vehicular level crossings, clearing of overgrown vegetation, undertaking piling work to install foundations for masts that will carry electric wires, as well as the installation of those masts and wires." There will be further closures of the line later in 2017 to allow further work to be carried out.